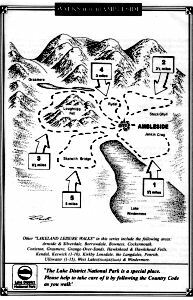 Lakeland Leisure Walks publish a series of walks around the Ambleside area. The 'serious' walkers favourite base in the central Lakes Ambleside has a superb variety of walking terrain on its doorstep and we've done five of the best routes covering all points of the compass. 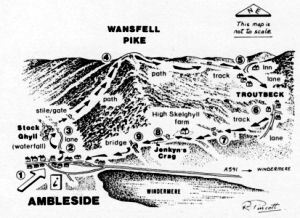 For those wanting a taste of the high fells please see our individual circular route up and around Wansfell. There's lots to commend Ambleside including the range of shops, pubs, restaurants, cinema and good bus links. Spectacular mountain views form the summit with the beautiful village of Troutbeck at the half way point on the route before descending towards Ambleside with panoramic lake views. Sublime!